Ozone is the second most powerful oxidant in the world, saturates hard-to-reach spaces and leaves no chemical residue, which is why it is useful for cleaning applications such as mold eradication and odor removal. It also destroys pathogens such as bacteria and viruses on surfaces making it an excellent disinfectant. 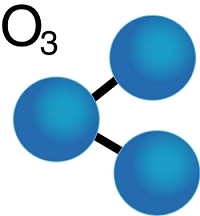 Ozone contains three atoms of oxygen rather than the two in normal air. This extra oxygen atom will quickly combine with or "oxidize" harmful compounds, causing them to break down. Ozone used in high enough concentrations to kill odors can also damage the respiratory tissues in humans and animals, and also tissues in plants, requiring it to be used in unoccupied areas only where pets and plants are removed. Ozone naturally decays back into normal oxygen within a few hours depending on the temperature. There are two ways to make ozone: Ultraviolet Light and Corona Discharge. Both methods occur in nature. Most of the planet's ozone is generated in the upper stratosphere from high-energy solar radiation (Ultraviolet Light) breaking apart oxygen molecules which temporarily re-form into groups of 3 (trioxide, a.k.a ozone). Also called the ozone layer, this gas shields the earth's surface from the sun's most dangerous ultraviolet light and makes the sky appear blue. 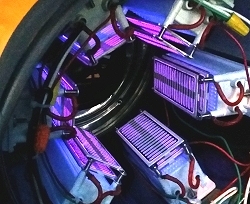 Ultraviolet (UV) Light Ozone Generators use low pressure UV lamps that generate multiwavelength UV light with two peaks, one at the 254-nm light band and another at 185-nm. The 185-nm light produces ozone through photolysis of oxygen molecules, while the 254-nm light photolyzes ozone back into oxygen, which works against the ozone production process. This second peak is why low pressure UV lamps produce less net ozone (for the energy expended) than corona discharge (CD) ozone generators when operating in cool, dry environments. However, UV light ozone generators produce ozone at a near constant rate, even when the environment is warm and wet, making them much better in hot, humid conditions. Plus they do not generate byproducts from nitrogen in the air. Ultraviolet Light Ozone Generators can remove strong odors and sterilize viruses and microorganisms under harsh environmental conditions such as high heat and humidity. The premium ultraviolet light ozone generators that we sell are innovative, versatile and can generate shock levels of ozone. Our price point averages 50 to 75 percent lower than similar output ultraviolet ozone generators sold by competitors. Simply put, we sell serious ultraviolet ozone generators to customers who want high-performing products at the lowest prices. Plus, we stand behind every product we sell with a money-back guarantee! In the lower atmosphere, ozone is generated by static electricity (Corona Discharge) during lightening strikes which also break apart oxygen molecules that temporarily reform as ozone before reverting back to normal oxygen. Corona discharge is a static shock that can be generated using electricity. The first man-made ozone machine used two glass tubes wrapped in tin, one inside of the other so that air could circulate in the space between them. When the surrounding conductor was energized with high voltage it ionized the air near the conductor surface resulting in an electrical discharge that produced ozone. Corona discharge is the most efficient way to produce a large volume of ozone from cool, dry ambient air. Corona Discharge (CD) Ozone Generators use discharge plates with electrodes and an insulating, dielectric material that supports an electrostatic field without heating up excessively. A transformer is used to convert standard low frequency household power into high frequency, high voltage that can produce large quantities of ozone from the ambient air that passes near the plates. Ozone plate technology and transformer design have improved significantly over the past few years. Compact, double-sided corona discharge plates can produce 8 to 16 grams of ozone per hour from a single transformer, allowing a small machine to quickly saturate an area with ozone. However, cool dry air is required for maximum output, and high humidity can result in undesirable corrosion from nitrogen compounds that accumulate on the plates. When the environment can be controlled corona discharge ozone generators are the most efficient choice. High-output Corona Discharge Ozone Machines remove strong odors and sterilize bacteria, viruses and mold spores in minutes. The portable ozone generators that we sell are the industry's most powerful and durable units, generating significantly more ozone than the over-priced "metal box" machines advertised everywhere. Whether it's for a home, vehicle or a business, when you have serious odor problems you'll want a BoiE to do the job quickly and completely. Simply put, we sell serious commercial-grade ozone generators to consumers who want high-performing products that do the job fast at the best price point. 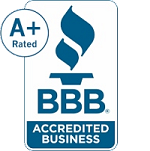 Plus, we stand behind every product we sell with a money-back guarantee and great customer service. 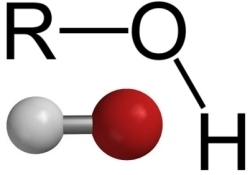 Hydroxyls are formed in nature by the reaction of UV light from the sun disassembling water vapor (H20) into hydroxyl radicals (*OH) which have unpaired electrons. Atmospheric hydroxyl radicals react with and neutralize concentrated pollutants in outdoor air. However, with an average life of less than a second, natural hydroxyls have little affect on indoor air. Commercial hydroxyl generators duplicate the effects of outdoor hydroxyl production by circulating indoor air through a chamber where hydroxyl reactions occur. Hydroxyls start chain reactions with contaminants that partially break down pollutants with each pass through the machine until all that reamins is carbon dioxide and water. Hydroxyl generators are widely used by water and fire damage restoration companies along with mold remediation professionals because the hydroxyl radicals generated are non-toxic to humans and work exceptionally well in hot, humid environments to remove the same contaminants as ozone along with many more, although over a longer period of time. Where a two-hour ozone treatment would be sufficient, a hydroxyl generator might take three times as long to achieve similar results, but the treatment area can generally remain occupied and the hydroxyls do not cause damage to sensitive materials such as natural rubber and certain adhesives that concentrated ozone could affect. There are two methods to generate hydroxyls for indoor air purification: Photocatalytic Oxidation (PCO) or an Advanced Oxidation Process (AOP). Each method has advantages and disadvantages. PCO is the only method that can be left running unmonitored in occupied spaces without requiring fresh air ventilation. Contaminants are oxidized by hydroxyls that form along the surface of a UV light-activated catalyst that abstracts hydrogen atoms from water molecules in the air. AOP methods produce hydroxyls from chemical reactions that occur in the air, usually in the presence of UV light without requiring contact with a catalyst. Also called direct hydroxyl production (DHP), the advantage of AOP is that more hydroxyls can potentially form because production is not limited to a catalyst surface. The disadvantage is that byproducts including ozone and hydrogen peroxide may reach harmful levels to humans in some environments, requiring an area to be unoccupied or closely monitored for occupant or worker safety while machines are running. PCO was developed with a specific intent not to harm occupants in a closed environment. 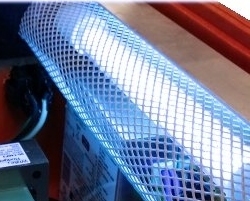 PCO can use either safe-to-view UV-A black light or shielded UV-C germicidal light and several types of permanent catalysts. AOP includes low-concentration ozone and/or hydrogen peroxide vapor that breaks down in the presence of UV-C germicidal light. With either method, the hydroxyls produced quickly react with VOCs and inorganic gases in cascading reactions that can follow the air stream outside the generator as partially-oxidized contaminants drive further reactions until they are reduced to carbon dioxide and water. Hydroxyl generators are used in the restoration industry in high-humidity environments where ozone is less effective, especially after floods or fires have been extinguished and materials are very wet. Hydroxyl generators are often run at the site in the days before serious work starts on a restoration project to help purify the air and prevent mold from taking hold. Hydroxyl radicals react with over 5,000 compounds and will break apart odors from fire and smoke, category 2 & 3 water losses, chemical fumes, fuel oil, VOCs, trauma, etc. without damaging sensitive contents that concentrated ozone might.